Desired Citrus Chase Townhouse located in the Dr. Phillips are is looking for a new home owner. 3 bedrooms 2 bath home is a split floor plan with spacious rooms. Master Bedroom and Bath has been freshly painted. Master bathroom has a LARGE walk in shower with a bench (handicap accessible). Living room has a wood burning fireplace for the upcoming fall/winter months. Enjoy your fall evenings on the porch which is enclosed with windows and screens. Community includes a pool, clubhouse, tennis courts for the low price of $250 a month. 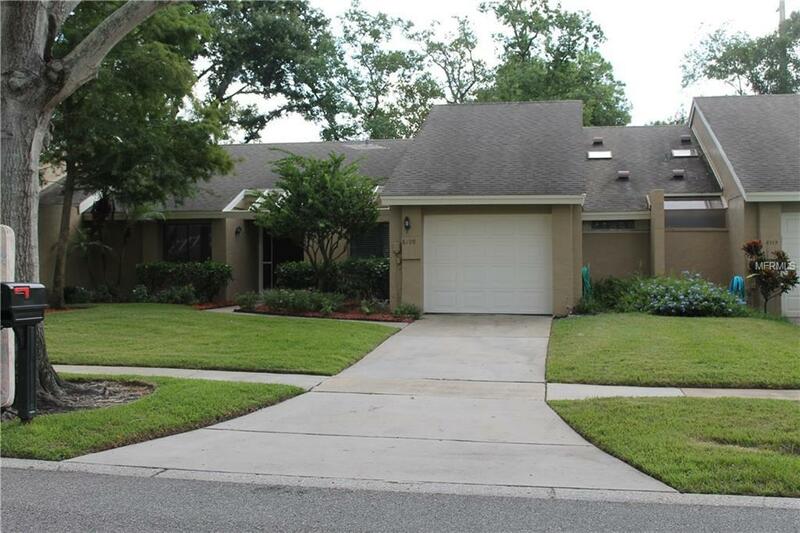 This home has beautiful curb appeal and will not last long. AC (2018) and Carpet (2017). Amenities Additional Fees Exterior Of Home is Covered By Association. They Paint Every 7 Years.